One of my favorite things that I get to do in this business is travel and meet new people. 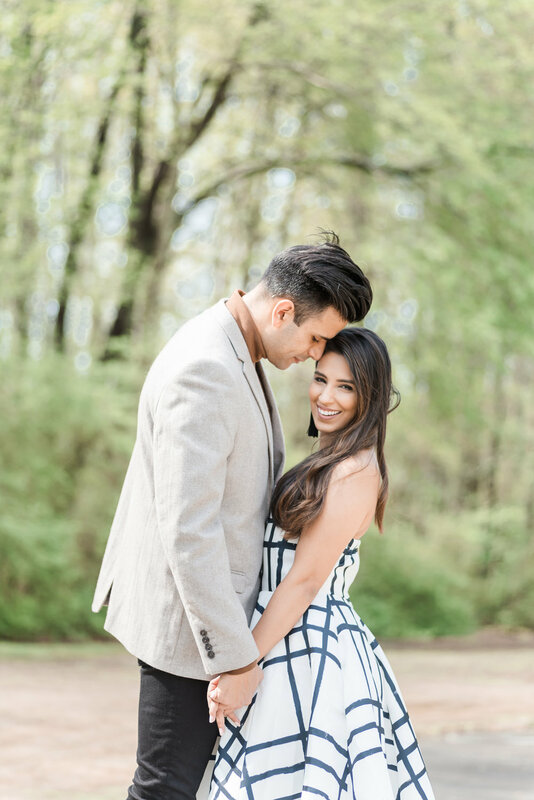 Sabrina and Sahir were so sweet and amazing to work with during their couples session. We had originally planned to shoot at Chateau Elan, but unfortunately those plans fell through. 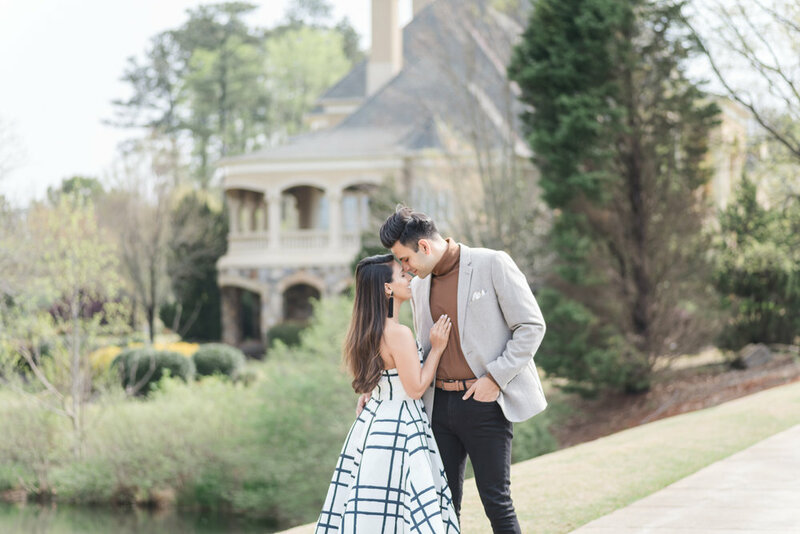 I was actually glad they did, because we ended up shooting in the country club in Sahir’s parent’s neighborhood in Duluth, Georgia, and this place was a DREAM! 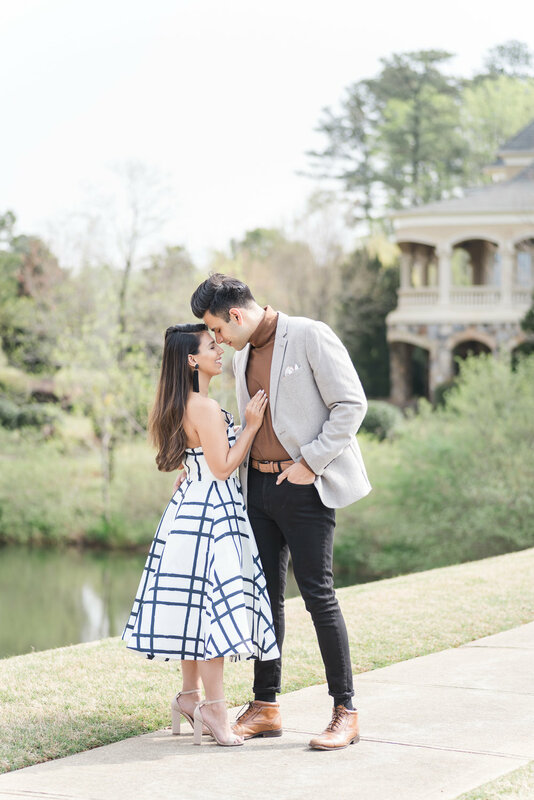 There are so many beautiful locations in Atlanta for engagement sessions. 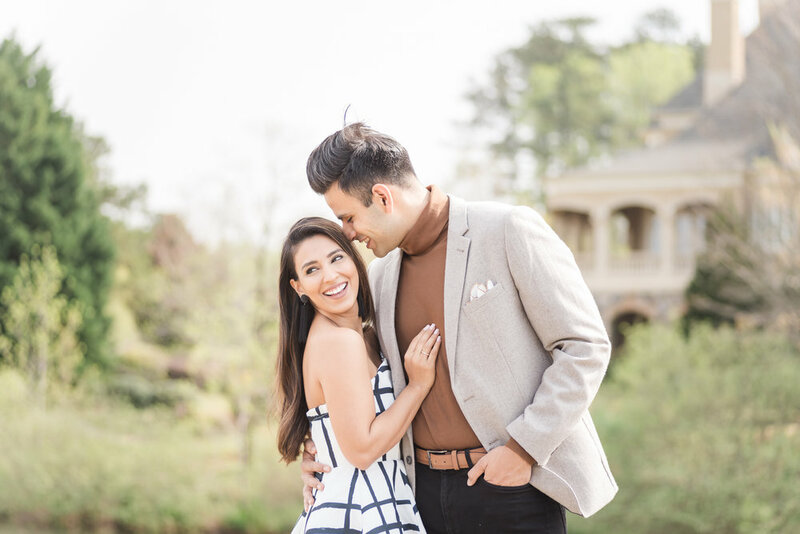 As a photographer, I absolutely LOVE getting to photograph couples, engagement sessions, and weddings in Atlanta as well as the surrounding areas and suburbs. Sabrina is actually an amazing fashion and lifestyle blogger over at https://simplysabrinablog.com/. She has some amazing beauty and travel tips that I love! Definitely check out her site! Being a blogger couple made these two much more comfortable and at ease in front of the camera. They are used to being models all the time, which made them so easy to pose and direct. These two are high school sweethearts that have been together for so long. They are such a charming couple, and just a pleasure to photograph. Atlanta may be one of my new favorite locations for engagement sessions and weddings. Atlanta has such beautiful gardens as well as well as historic venues with southern charm. I’ve been to Atlanta before to photograph a beautiful wedding at the Swan House. If you haven’t checked out the swan house yet, you have to see photos of this amazing location. It’s actually in a lot of movies. It’s President Snow’s mansion in the Hunger Games. Are you looking for a wedding or engagement photographer in Atlanta (or any other location in the world)? I would absolutely LOVE to work with you! Send me a message over on my contact page!